Jobs across nearly all sectors will continue to grow throughout Washington, though likely at a slower rate than recent years, labor economists suggest. A healthy, booming economy and a low unemployment rate will continue to welcome workers this year. With low supply and high demand for employees, the job-seeker’s market offers a broad range of options. But as the recession recedes further into the past, government labor economists forecast a slight slowdown in Washington’s employment growth. Following years of solid growth, 2017 was much of the same, with the state’s Economic and Revenue Forecast Council estimating the number of jobs in Washington grew by 3 percent last year. In 2018, the ERFC expects the rate of job growth to decrease slightly to 2.4 percent. In 2019, the ERFC anticipates the economy will continue to “decelerate gradually as the recovery matures,” with job growth dropping to 1.7 percent in 2019. 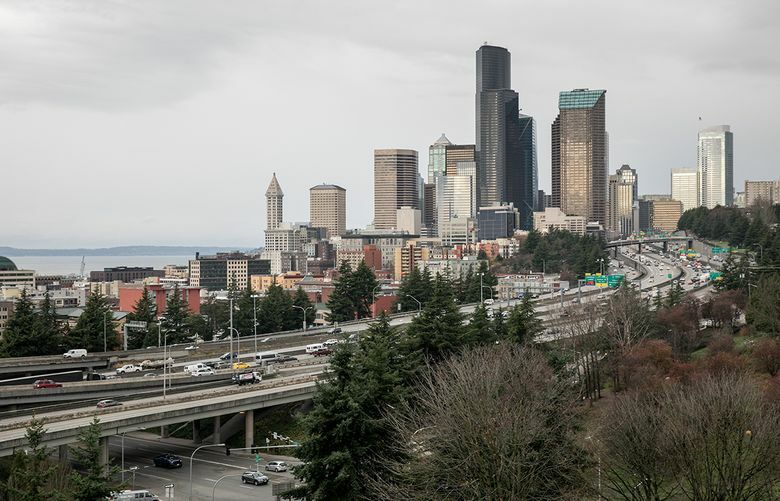 However, Josh Warborg, a Seattle-based district president of staffing firm Robert Half, doesn’t see a deceleration in the job market happening anytime soon. According to Warborg, while the bulk of the demand is for degreed professionals, a labor shortage stretches throughout the entire job market, including roles that don’t typically require a college degree. ESD data indicate industries with the largest increases of jobs statewide this year will be in professional and business services and in construction, with the largest contraction of jobs in the manufacturing sector. It’s no surprise to anyone who has walked through Seattle’s growing South Lake Union neighborhood or driven through Microsoft’s expanding campus in Redmond: Computer and mathematical jobs, particularly in King County, are predicted to continue experiencing high growth rates into 2018, according to Vance-Sherman. Demand is expected to continue as these jobs become more and more ubiquitous across all sectors. According to ESD data, computer and mathematical jobs statewide are projected to grow by 4 percent next year, adding just over 7,000 jobs. In King County, growth in these jobs is expected to be a bit higher at 4.34 percent, adding almost 6,000 jobs. In Pierce County, much of the same is expected for computer and mathematical jobs in 2018, with ESD data estimating annual growth of 4.41 percent, or the addition of about 300 jobs. In Snohomish County, computer and mathematical jobs are predicted to grow at a slower pace, with an estimated increase of 1.62 percent, adding about 155 jobs. Slabinski says there’s a high demand for workers with skills in cybersecurity, cloud computing, DevOps (shorthand compound for development and operations) and data analytics. This year, professional and business services, and the construction industry are expected to see high employment growth rates, according to ESD projections. To ESD economist Vance-Sherman, these high growth rates for next year are an indication that businesses are feeling optimistic. Because these two sectors tend to have other businesses as customers, Vance-Sherman says, they are often used as a “bellwether for how other businesses are perceiving the economy. “These businesses only attract business when their customers are feeling good about the economy,” Vance-Sherman adds. According to ESD data, employment in the diverse sector of professional and business services, which includes everyone from accountants to janitors to architects to software engineers, is projected to grow 3.32 percent statewide next year. In King County, ESD projects employment in the category growing by 3.41 percent, but in both Snohomish and Pierce counties, that gain is expected to be slightly higher, at 3.77 percent and 3.71 percent, respectively. in Pierce County, slightly lower employment growth of 2.9 percent is expected in the construction and extraction industry in 2018. “For the most part, most industries will be adding jobs,” says Steve Lerch, the executive director and chief economist at the ERFC. He says notable growth projections for next year include over 17,000 jobs in professional and business services, nearly 5,000 jobs in construction and about 15,000 education and health services jobs. He also expects Washington to add about 8,500 retail jobs and 7,000 jobs in the leisure and hospitality sector. Data from the ESD show the largest decrease in statewide employment next year will occur in the manufacturing sector, which is projected to decline by 1.09 percent. In King and Snohomish counties, jobs in this sector are expected to decline at a faster rate, decreasing by 2.39 and 2.37 percent respectively, in 2018. ESD data predict Pierce County will fare a bit better, with the manufacturing sector actually growing 1.46 percent. The state added 105,800 non-farm jobs between October 2016 and October 2017. Another 79,000 non-farm jobs are forecast to be added in 2018, says Lerch. From November 2016 through November 2017, 12 of the state’s 13 industry sectors added jobs. Manufacturing was the only sector to report job losses, down 1,500 jobs. Washington’s seasonally-adjusted unemployment rate continues to decline, and in November held steady at 4.5 percent, “equaling the state’s all-time low for unemployment set earlier this year,” according to the ESD. Last October, the state’s unemployment rate stood at 5.3 percent. In King County, the October unemployment rate was a bit lower at 3.7 percent, but higher in Pierce and Snohomish counties, at 4.7 and 4.1 percent, respectively.